Enter now to win tickets to Battersea Power Station’s special Easter event and a meal for four at Cinnamon Kitchen. Battersea Power Station will become the ultimate playground for kids big and small this Easter, with special activities from egg-spert partners including a Sharky & George petting zoo, interactive plays with The Skewbald Theatre and Chickenshed, and even biscuit icing with luxury biscuit boutique Biscuiteers. Activities will run throughout April and for those wanting to make a cracking day of it, there’ll be no egg-scuses not to enjoy the eclectic mix of restaurants, shops, cafes, and bars at the riverside destination, which is quickly becoming London’s most exciting food and drink destinations. Winners will receive a complimentary 3-course meal for four at Cinnamon Kitchen and 2 free tickets to the Little School of Biscuiteers event on the 13th April. 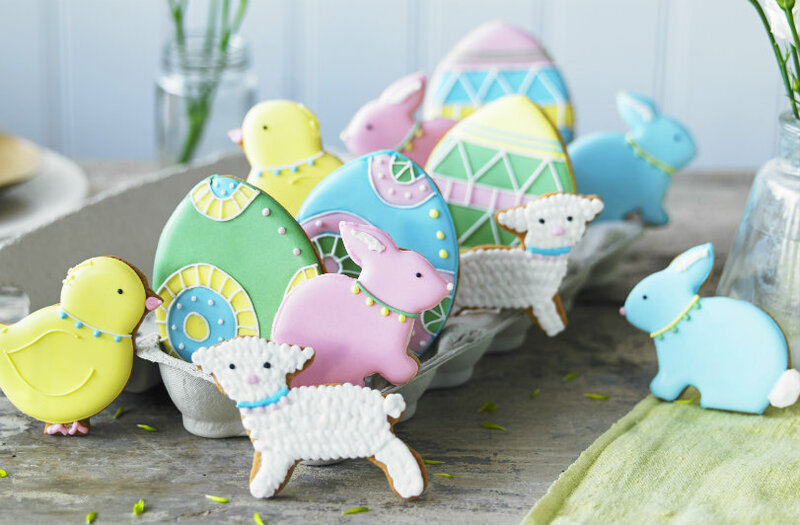 Bring your budding baker for an afternoon of Easter biscuit decorating with luxury biscuit boutique Biscuiteers. Biscuiteers’ team of expert icers are coming to Battersea Power Station to show kids how to ice their own Easter themed biscuits using fun shapes and bright, colourful icing. This Little School of Biscuiteers taster includes all the icing and edible decorations to make a beautiful box of 3 biscuits which each child can take away. They’ll learn the tricks of the trade so they can try the techniques at home. As well as tickets to the biscuiteers event, winners will also receive a complimentary 3-course meal for four at Cinnamon Kitchen the sleek, urban-inspired restaurant located within a quirky railway arch, at Battersea Power Station.